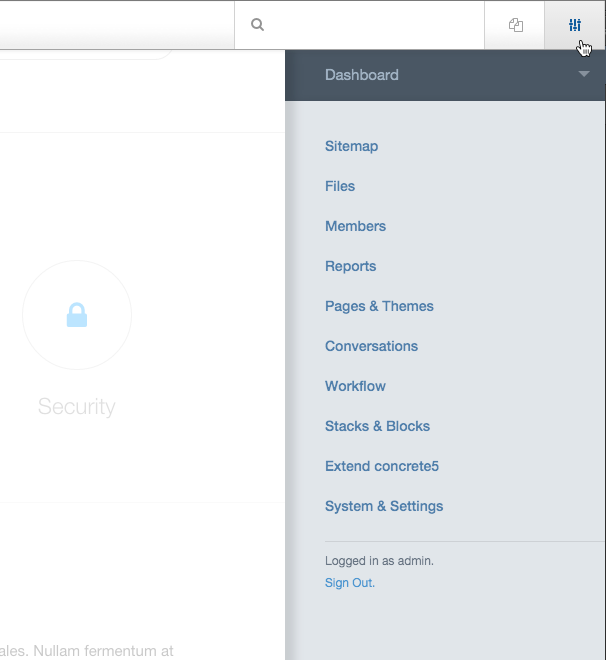 The concrete5 Dashboard is where you can change the behind-the-scenes settings that control how your site operates. There are a couple of different ways one can access the Dashboard. While logged in as an Administrator, you'll have easy access to the Dashboard whenever you see the concrete5 editing toolbar. Click the "Dashboard" button to access the main dashboard page categories. You will be prompted to enter your username and password if you're not already logged into the site. 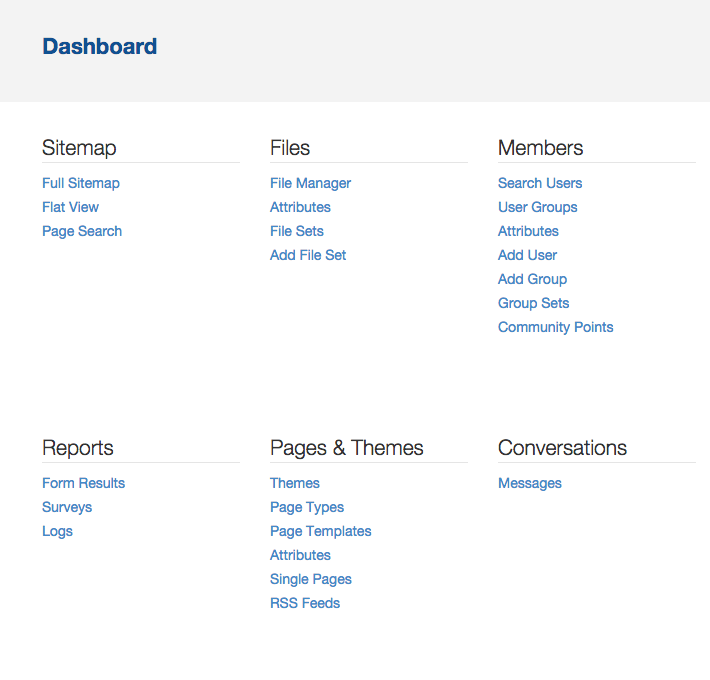 The Dashboard landing page groups related pages together for easy navigation. Each of these sections represents certain aspects of your site: Sitemap, Members, Pages & Themes, etc. We'll discuss what each of these does later in this guide. The dashboard panel will appear on the right with a handy list of navigation links, showing you where you are in the dashboard and nearby pages. A help box will generally appear to give you instructions on how to use the page (these can be hidden forever by clicking "Hide All".